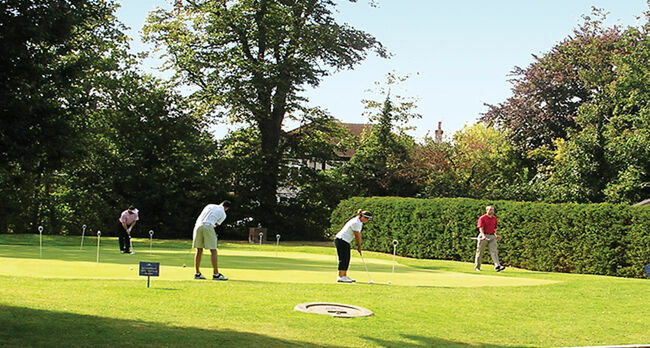 Course Overview :: Romford Golf Club is a private members – owned club, founded in 1894 and designed by Open Champion James Braid. Challenging opening hole, played into the prevailing wind and slightly uphill. Bunker to the right of the fairway at around driving distance and difficult green to hit, with bunker front left catching many second shots. Green slopes from back to front more severely than it appears. Par is always a good score – very few birdies on this hole. Copyright © 2019 Romford Golf Club . All rights reserved.